Which of the 2019 Jaguar XE colors best match your personality and driving style? Make a statement around Edgewater by selecting your favorite exterior and interior colors on the new Jaguar XE! Alongside the paint colors, there are many other elements available to enhance your Jaguar XE colors. For instance, the XE 300 Sport comes with a mesh grille, Dark Satin Grey fender vents, and more. Meanwhile, chrome side vents and a chrome side arc are also optional. Explore the inventory of new Jaguar XE models on sale at Jaguar Annapolis to determine which colors you prefer. Then, take advantage of our Jaguar XE lease deals to get behind the wheel! 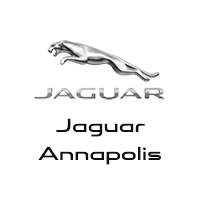 If you are partial to a black Jaguar model, explore our available models for sale.